The „I“ in IDEAL stands for Income. (a.k.a. positive cash flow) Does it even generate income? Your investment property should be generating income from rents received each month. Of course, there will be months where you may experience a vacancy, but for the most part your investment will be producing an income. Be careful because many times beginning investors exaggerate their assumptions and don’t take into account all potential costs. The investor should know going into the purchase that the property will COST money each month (otherwise known as negative cash flow). This scenario, although not ideal, may be OK, only in specific instances that we will discuss later. It boils down to the risk tolerance and ability for the owner to fund and pay for a negative producing asset. In the boom years of real estate, prices were sky high and the rents didn’t increase proportionately with many residential real estate investment properties. Many naïve investors purchased properties with the assumption that the appreciation in prices would more than compensate for the fact that the high balance mortgage would be a significant negative impact on the funds each month. Be aware of this and do your best to forecast a positive cash flow scenario, so that you can actually realize the INCOME part of the IDEAL equation. The „D“ in IDEAL Stands for Depreciation. With investment real estate, you are able to utilize its depreciation for your own tax benefit. What is depreciation anyway? It’s a non-cost accounting method to take into account the overall financial burden incurred through real estate investment. Look at this another way, when you buy a brand new car, the minute you drive off the lot, that car has depreciated in value. When it comes to your investment real estate property, the IRS allows you to deduct this amount yearly against your taxes. Please note: I am not a tax professional, so this is not meant to be a lesson in taxation policy or to be construed as tax advice. With that said, the depreciation of a real estate investment property is determined by the overall value of the structure of the property and the length of time (recovery period based on the property type-either residential or commercial). If you have ever gotten a property tax bill, they usually break your property’s assessed value into two categories: one for the value of the land, and the other for the value of the structure. Both of these values added up equals your total „basis“ for property taxation. When it comes to depreciation, you can deduct against your taxes on the original base value of the structure only; the IRS doesn’t allow you to depreciate land value (because land is typically only APPRECIATING). Just like your new car driving off the lot, it’s the structure on the property that is getting less and less valuable every year as its effective age gets older and older. And you can use this to your tax advantage. The best example of the benefit regarding this concept is through depreciation, you can actually turn a property that creates a positive cash flow into one that shows a loss (on paper) when dealing with taxes and the IRS. And by doing so, that (paper) loss is deductible against your income for tax purposes. Therefore, it’s a great benefit for people that are specifically looking for a „tax-shelter“ of sorts for their real estate investments. For example, and without getting too technical, assume that you are able to depreciate $15,000 a year from a $500,000 residential investment property that you own. Let’s say that you are cash-flowing $1,000 a month (meaning that after all expenses, you are net-positive $1000 each month), so you have $12,000 total annual income for the year from this property’s rental income. Although you took in $12,000, you can show through your accountancy with the depreciation of the investment real estate that you actually lost $3,000 on paper, which is used against any income taxes that you may owe. From the standpoint of IRS, this property realized a loss of $3,000 after the „expense“ of the $15,000 depreciation amount was taken into account. Not only are there no taxes due on that rental income, you can utilize the paper loss of $3,000 against your other regular taxable income from your day-job. Investment property at higher price points will have proportionally higher tax-shelter qualities. Investors use this to their benefit in being able to deduct as much against their taxable amount owed each year through the benefit of depreciation with their underlying real estate investment. The „E“ in IDEAL is for Expenses – Generally, all expenses incurred relating to the property are deductible when it comes to your investment property. The cost for utilities, the cost for insurance, the mortgage, and the interest and property taxes you pay. If you use a property manager or if you’re repairing or improving the property itself, all of this is deductible. Real estate investment comes with a lot of expenses, duties, and responsibilities to ensure the investment property itself performs to its highest capability. Because of this, contemporary tax law generally allows that all of these related expenses are deductible to the benefit of the investment real estate landowner. If you were to ever take a loss, or purposefully took a loss on a business investment or investment property, that loss (expense) can carry over for multiple years against your income taxes. For some people, this is an aggressive and technical strategy. Yet it’s another potential benefit of investment real estate. The „A“ in IDEAL is for Appreciation – Appreciation means the growth of value of the underlying investment. It’s one of the main reasons that we invest in the first place, and it’s a powerful way to grow your net worth. Many homes in the city of San Francisco are several million dollars in today’s market, but back in the 1960s, the same property was worth about the cost of the car you are currently driving (probably even less!). Throughout the years, the area became more popular and the demand that ensued caused the real estate prices in the city to grow exponentially compared to where they were a few decades ago. People that were lucky enough to recognize this, or who were just in the right place at the right time and continued to live in their home have realized an investment return in the 1000’s of percent. Now that’s what appreciation is all about. What other investment can make you this kind of return without drastically increased risk? The best part about investment real estate is that someone is paying you to live in your property, paying off your mortgage, and creating an income (positive cash flow) to you each month along the way throughout your course of ownership. The „L“ in IDEAL stands for Leverage – A lot of people refer to this as „OPM“ (other people’s money). This is when you are using a small amount of your money to control a much more expensive asset. You are essentially leveraging your down payment and gaining control of an asset that you would normally not be able to purchase without the loan itself. Leverage is much more acceptable in the real estate world and inherently less risky than leverage in the stock world (where this is done through means of options or buying „on Margin“). Leverage is common in real estate. Otherwise, people would only buy property when they had 100% of the cash to do so. Over a third of all purchase transactions are all-cash transactions as our recovery continues. Still, about 2/3 of all purchases are done with some level of financing, so the majority of buyers in the market enjoy the power that leverage can offer when it comes to investment real estate. For example, if a real estate investor was to buy a house that costs $100,000 with 10% down payment, they are leveraging the remaining 90% through the use of the associated mortgage. Let’s say the local market improves by 20% over the next year, and therefore the actual property is now worth $120,000. When it comes to leverage, from the standpoint of this property, its value increased by 20%. But compared to the investor’s actual down payment (the „skin in the game“) of $10,000- this increase in property value of 20% really means the investor doubled their return on the investment actually made-also known as the „cash on cash“ return. In this case, that is 200%-because the $10,000 is now responsible and entitled to a $20,000 increase in overall value and the overall potential profit. Let’s start with „I“. The vacant lot made no income! Sometimes this can be acceptable, if the deal is something that cannot be missed. But for the most part this deal was nothing special. In all honesty, I’ve considered selling the trees that are currently on the vacant lot to the local wood mill for some actual income, or putting up a camping spot ad on the local Craigslist; but unfortunately the lumber isn’t worth enough and there are better spots to camp! My expectations and desire for price appreciation blocked the rational and logical questions that needed to be asked. So, when it came to the income aspect of the IDEAL guidelines for a real estate investment, I paid no attention to it. And I paid the price for my hubris. Furthermore, this investment failed to realize the benefit of depreciation as you cannot depreciate land! So, we are zero for two so far, with the IDEAL guideline to real estate investing. All I can do is hope the land appreciates to a point where it can be sold one day. Let’s call it an expensive learning lesson. You too will have these „learning lessons“; just try to have as few of them as possible and you will be better off. One of my past clients asked me how he should handle his clients in a tough market. He gave me a little background information on what he was currently doing and I suggested to him the „6 P’s“ of Real Estate Marketing. I strongly suggest applying the 6 P’s to all real estate agents in any economy and in any market. Marketing in a way that is different from your competitors is the main factor in obtaining sales. I can’t tell you how many real estate agents came to me after they lost a sale to another salesperson that does exactly the same marketing as they do. If you keep doing the same marketing techniques over and over again you’re going to get the same results. So what are the 6 P’s of Real Estate Marketing? 1. Positive Attitude– Make sure the sellers know how enthused you are about selling their home. Enthusiasm is contagious and they will be more inclined to accept your recommendations if you exuberate a positive attitude. It is important to remember that almost every person is attracted to people who emanate confidence, optimism, and sincerity. This will play a major part in attracting new business relationships. 2. Promotion– There are various ways to promote listings and increase real estate sales. Most likely you will be marketing to people in your sphere of influence (SOI). Your sphere of influence includes, but is not limited to, current and past clients, organizations, other agents, brokers and network groups, the MLS, etc. Another effective promotional tool is using a Pre-Listing Package, which is discussed later in this article. 3. Perfection– As a real estate professional, you should strive for perfection in all aspects of the home buying and selling process. We all know that nothing is „perfect“, but we should do our very best to make sure that the client receives quality and unparalleled service. This is a goal you should always strive for. Holding yourself to high standards and possessing integrity can make a big difference. 4. Preparation– Provide all your sellers with information on how to prepare their home, common seller mistakes, and the home selling process. By doing so you are being proactive while saving time on the many questions your client will ask in regard to the processes. This aspect of real estate marketing could also fall under communication and feedback. 5. Pricing– Explain to the client where your listing price sits in comparison to other similar properties. You want to give all sellers a comparative market analysis so that they will have the facts as to why you came up with the figure you have. If you are not providing clients with one you need to do so. The Comparative Market Analysis (CMA) compares a property to other similar homes in the neighborhood that are currently on the market or sold in the last six months. This will allow you to determine the best listing price for their home. 6. Pre-Listing Package – A Pre-Listing Package is the most powerful impression you can make on a seller. This is a package of information letting the client know about you and your company. It also explains to them how you are best qualified for all their real estate needs. The Pre-Listing Package is a great tool used to get clients excited about you and your company before the first appointment. You will not only differentiate yourself, but you will obtain more listings, income and referrals. By personalizing your package to meet your seller’s needs, you are exuding professionalism and showing them that you truly care. Approach all of your real estate endeavors with the 6 P’s of Real Estate Marketing and watch your business grow exponentially. Good luck and much success!! Es gibt einige Mythen über Makler, von die viele nicht so schmeichelhaft sind. Aber wenn es darauf ankommt, sind Immobilien-Makler nicht auch draußen, und es gibt eine logische Erklärung zu jedem Missverständnis. Lassen Sie uns gerade ein paar Mythen und Fakten. Mythos #1: sie haben lange Haare. Tatsache: Obwohl gelegentlich Immobilienmakler lange Haare haben, die meisten sind normale Menschen, die morgens aufstehen, wie Sie tun, und gehen Sie um zu arbeiten wie Sie. Viele Immobilienmakler, werden in der Tat Glatze aufgrund der damit verbundenen Haarausfall zu betonen. Gleiche mit ausgefallenen dolchförmigen Maniküre; in Wirklichkeit haben viele Makler ihre Nägel nach unten zu Noppen gebissen. Mythos #2: Immobilienmakler fahren Luxusautos während des Gesprächs auf dem Handy am Ohr. Tatsache: Itâ?? zutreffend, die Immobilienmakler sind oft versucht, zu viele Dinge gleichzeitig zu tun, aber sie mögen es vorsichtig sein. Und obwohl Immobilienmakler machen einen guten Eindruck auf Sie, mehr als oft nicht sie Antrieb Honda und Toyota und hoffen, dass ihre harte Arbeit Sie nicht ihre Lexus verkaufen möchten. Mythos #3: Immobilienmakler kennen Ihre Gegend. Tatsache: genau wie normale Menschen, Immobilienmakler Canâ?? t wissen alles. Obwohl sie eine Menge Zeit fahren in der Stadt, verbringen sie Canâ?? t an allen Orten gleichzeitig sein, und wahrscheinlich haben sie selbst Präferenzen für eine Nachbarschaft im Vergleich zu anderen. Klar machen Ihr Grundstücksmakler welche Umgebung Sie leben wollen, und sie können Sie innerhalb dieses Abschnitts der Stadt suchen. Mythos #4: Immobilienmakler Leben außerhalb der Zeit. Tatsache: Immobilienmakler haben zu leben, und diese Leben geschieht in der gleichen physischen Ebene wie Sie stattfinden. Während es scheinen mag, wie sie ein seltsam unverhältnismäßig Stück Gespräch mit Ihnen Zeit verbringen, versuchen sie tatsächlich, wie Zeit-bewusste wie möglich, damit Sie schneller zu Ihnen nach Hause gelangen und sie sich schneller bewegen können, zu helfen, ihren nächsten Kunden. Mythos #5: Immobilienmakler wollen nur dein Geld. Tatsache: was Makler wirklich wünschen, ist ein einfaches Leben. Sie möchten helfen Ihnen ein Zuhause zu finden, die Sie lieben, und sie wollen ihren (oft kleinen) Teil der Kommission aus (und Thatâ?? s aus dem Verkauf nicht aus der Tasche). Sie wollen nicht Ihre Seele oder Ihre Erstgeborenen, nur etwas Geduld, Überlegung und einer positiven Eigenheims Erfahrung für alle. In doing so, you can, literally acquire ownership or title of the real property for just paying the back delinquent real estate taxes and the cost to file a quiet title lawsuit establishing that you obtained title to the property through adverse possession. In other words, you can take title of valuable property for a incredible discount. The laws governing adverse possession is local state (or, in Canada, territorial law); consequently an Abandoned property investor must look into the specific laws of a specific state or Canadian territory where the real property is located. Since the laws are different dramatically from jurisdiction to jurisdiction and can often be confusing, anyone wishing to take title to real property through adverse possession should contact a knowledgeable attorney before attempting to do so. In order for you to begin understanding the requirements of Adverse Possession let’s look at a specific example. Below is a closer look at th California Adverse Possession law. We will use this law to identify and explain some of the more common terms used in Adverse Possession. The California statutes governing adverse possession and as well as the statutes of most other states make a distinction between claiming adverse possession based upon a „claim of title founded upon a written instrument or judgment or decree“ (often referred to as a claim under color title) and claiming adverse possession based upon „a claim of title exclusive of any other right , but not founded upon a written instrument, judgement, or decree“ (often referred to as a claim as either a claim of right, see California Code of civil procedures Section 322 and 323. As to such claim under claim o right, see Code of Civil Procedures Section 324 and 325. Basically a claim of adverse possession based upon color color of title is one where the claimant(Abandoned Property Investor) took in good faith possession under a deed (or some other written instrument) or judicial decree that appeared to transfer good title, but was defective. For example, a tax sale investor might take adverse possession through color of title for real estate bought at a California county tax-defaulted sale where the sale was conducted improperly and, consequently, the deed was void. Abandoned property investors attempting to take title to real estate through the doctrine of adverse possession are generally more interested in taking such title through „claim of right“ or „claim of title“. Under this doctrine, an investor merely needs to take actual possession of the property and hold that possession as required by appropriate jurisdictional law. As might be expected, the requirements to establish adverse possession under a claim of right are (under California law and under the law of most all other states) are more strenuous than those associated with claiming under color of title. As will be seen below, an abandoned property investor claiming possession under the doctrine of adverse possession does not have to personally occupy or live on the real estate to be in actual possession of the property. However, actually living on the real estate is probably the strongest and clearest evidence that possession is actual. Real property can be occupied, lived on, and actually possessed by a tenant under a tenancy agreement. Take, for instance, if you look at the California appellate case of Traeger v. Friedman (1947) 79 CA 2d 151. In that case, the adverse possession claimant took possession of a apartment building through tenants and, then, managed and rented for five years. She evn paid the real property taxes out of the rent. The California court held that she had met the actual possession requirement needed to perfect title under adverce possession. If the real property being taken through adverse possession is a lot and acreage and cannot be actually possessed (i.e., lived on) then that property must be either „protected…by a substantial inclosure“, „usually cultivated“, or „usually improved“. If the property is protected by a substantial inclosure, then the inclosure must be „substantial“ enough to give the true owner notice of the investor’s Claim of adverse possession during the entire prescriptive period. Older Cases hold that the inclosure must be substantial enough and remain so throughout the prescriptive period of five years and protect all sides of the property claimed from intrusion by cattle or other animals. If the inclosure is so damaged as not to be able to protect all sides of the property from such intrusion, then the Abandoned property investor or claimant must promptly repair that damage inclosure or risk being found by the court to have not met this requirement. Additionally, California cases have held that although „grazing“ or „pasturage“ is not mentioned in the Code of Civil Procedure Section 325 reproduced above, it is a method whereby an investor can take actual possession. Basically, an owner of real estate will not lose that real estate through the doctrine of adverse possession unless the manner in which the investor holds actual possession would provide reasonable notice of that possession if the owner inspected the property. Repairs and improvements made to houses such as painting the ouside of the house, keeping up the outside ground, etc. are examples of such actions. It must be shown that the possession was in violation of the true owner’s property rights and that it should give rise in the owner a reason to begin an action to terminate the Abandoned property investor or claimant’s possession or use. Possession of the property with the owner’s permission is not hostile or adverse. see California Civil Code Section 813 which provides a better legal explanation of this process. Basically what the California Civil Code Section 813 means that the owner of the property can give permission for the use of that property by the general public or specific individuals. The statute further states that: „In the event of use by other than the general public, any such notices, to be effective, shall also be served by registered mail on the user. The claimant’s use must also be exclusive, use of that property by the legal owner or any other person except the claimant or abandoned property investor or a tenant of the claimant or abandoned property investor holding possession on behalf of that person will probably defeat a claim of title through adverse possession. The requirement does not mean, however, that the investor must be physically on the land every day for five years. For instance, if actual possession of a home or other rental real estate is held by tenants on behalf of the adverse possessor or abandoned property investor, then ordinary vacancies will not disrupt the continuity of the possession. So, if an investor were to take possession of rental property, for example, and there were normal vacancies that occur, these vacancies would not be considered a violation if the five year occupancy requirement. It also means that the investor does not have to live on the property to make this claim. That means you can claim adverse possession at multiple properties as long as the property is safe and liveable for tenants. That means a positive cash flow while waiting in the prescribed period and also without your physical stay at your property. Is there such a thing as dressing for success anymore? Almost any company or business used to have a dress code but Casual Fridays, legal challenges, and relaxed attitudes have reduced the enforcement or existence of dress codes. The real estate industry is no exception to the shifting of dress codes and attire for success. Some brokerages used to have logo-colored jackets; others mandated suits for men and suits or dresses for women (women’s trousers weren’t acceptable). Now, such attire seems very outdated and almost comical. Arguments that „professional attire“ inspires confidence in clients still persist – and with some reason, in some real estate markets. Areas where suit-and-tie business attire is still appropriate tend to be preferred in larger, cosmopolitan areas and when working with higher income/higher power clients. What’s going on in your real estate market? First impressions – In some areas, formal attire is appropriate for a first meeting whereas it may be perceived as over-the-top or intimidating in other areas. A professional image consultant suggests that attire for both men and women real estate agents should reflect the tastes of their clients. This is a variation on „Location, location, location.“ What clues does your client/brokerage location suggest? If your brokerage firm does not have specific guidance or restrictions on attire, look at what your clients, peers, and your competitors in your area wear as possible guidelines for your own dress-for-success plan. There will be times when an agent will have to walk, climb, or crawl around dirty properties. Property inspections are part of the business and you should dress carefully, safely, and appropriately for these circumstances. And there will also be times when the very grubby agent will be called to meet with a client, ASAP. It may not be possible to change or refresh yourself before the meeting but a brief explanation and apology can go a long way toward easing an awkward moment. Clients can be wonderfully understanding. Some attire conveys too much of an, „I’d rather be on vacation,“ attitude. With few exceptions, T-shirts, flip-flops, and shorts are still viewed with disfavor among many businesses, including real estate. High temperatures can certainly influence choice of attire at times but extremely casual clothes and footwear can be too much (or little) for even the most relaxed office and client environment. Clients also react less favorably with agents whose style of hair, clothes and accessories is too outdated and unkempt. Excessively flashy, provocative, or poor fitting clothes are inappropriate at any time. Good grooming is companion to being well dressed. You may have been rushing about but take a moment to comb your hair, straighten your clothes, and dust off the shoes. Even at the most casual level, every agent should present a clean appearance. (Think of your less-than-favorable reaction to being addressed by an unkempt service person!) Cleanliness and good grooming matter. They are not negotiables. Having a positive self-image is not a matter of excessive pride. Genuine self-confidence can give clients a greater sense of confidence in working with you. Poor body language and self-image don’t inspire confidence in any relationship, especially in real estate. Today, there are no hard and fast rules for to how to dress for success as a real estate agent. One style certainly doesn’t work for every agent and brokerage. When in doubt, take the more conservative approach at the start and adapt from there. The clean, approachable, confident, adaptive you is sure to be successful in real estate. die Century 21 Real Estate Company wurde 1971 von Art Bartlett und Marsh Fisher in Kalifornien gegründet. 1977 initiiert die beiden ein öffentlichen Angebots an der Börse, um Kapital aufzubringen, um ihre Firma in den USA zu erweitern. 1984 wurde das Jahrhundert 21 Real Estate Unternehmen vollständig von der Metropolitan Life Insurance Company gekauft. Century 21 Real Estate, wie viele andere Immobilien-Unternehmen in den 1980er Jahren wurde das Ziel der finanziellen Unternehmen wollen ihre Produktlinien Zusatzleistungen hinzu. Im Jahr 1995 wurde Jahrhundert 21 Real Estate HFS, ein Hotel und Immobilien Franchise-Geber verkauft. Anschließend wurde HFS und Cendant zusammengeführt und Unternehmensbereich Real Estate ausgegliedert. Die neue Muttergesellschaft Realogy, würde auch Coldwell Banker und ERA sowie Jahrhundert 21 Immobilien Steuern. Dieser legte Realogy in 25 % aller Immobilien-Transaktionen durchgeführt, in den Vereinigten Staaten. Das Jahrhundert 21 Real Estate-System unterhält mehr als 8.100 unabhängig und privat geführt, die von mehr als 140.000 Real Estate sales-Profis weltweit beschäftigen. Praktisch jede größere Stadt in den Vereinigten Staaten und eine große Mehrheit der kleineren Städte, hat mindestens ein Jahrhundert 21 Real Estate-Niederlassung. Immobilien-Makler, unabhängig von ihrer jeweiligen Staat oder der Gerichtsbarkeit lizenziert besitzen ihr eigenes Büro. Der Franchisegeber Jahrhundert 21 Real Estate unterstützt Unternehmen zusammen mit der MLS (Multi-Liste Service) Kunden zu den jeweiligen Behörden in ihrer Position bringen. Die progressive Systeme und Technologie Jahrhundert 21 Real Estate nutzt im Bemühen um paar Käufer und Verkäufer durch ihre Web-Sites und Internet-Präsenz macht es einfacher für jedermann, überall auf der Welt zu finden Unterkunft und befassen sich mit einem lokalen Vertreter. Dabei hat sich den weltweiten Immobilienmarkt über die Art und Weise, wie Unternehmen vor 4 Jahrzehnten geführt wurde verbessert. Obwohl jedes Büro unabhängig besessen und betrieben wird, hat das Jahrhundert 21 Real Estate corporate Office das Recht, ein Franchise-Nehmer zu kündigen, wenn sie der Franchise-Vertrag zu brechen oder illegalen Aktivitäten beteiligt werden. Dieser zusätzliche Schutz für den Verbraucher bedeutet, dass Sie die Unterstützung von Firmensitzen des Jahrhunderts 21 Real Estate. Die Firmensitze befinden sich in Parsippany, New Jersey in den Vereinigten Staaten. Eine aktuelle Pressemitteilung zeigt, dass das Unternehmen mehr als 1500 neue professionelle Agenten sowie 11 neue Niederlassungen hinzugefügt hat. Obgleich viele, dass die kaufenden Markt in einer Rezession ist argumentieren würden, würde die neueste Aktivität vieler dieser Makler dagegensprechen. Eine weitere Freigabe hat angezeigt, daß die albanischen und hispanischen Märkte mit Jahrhundert 21 Immobilienbüros erweitert werden. The economic characteristics that influence value are scarcity, improvements, permanence and area preference. Scarcity is simply demonstrated in the saying, „They aren’t making any more.“ The supply of land has a ceiling and cannot be produced more than what exists today. This value of this supply however, is influenced by other characteristics. Area preference refers to the choices of the people in any given area. This is usually referred to by most people when they talk about real estate as, „location, location, location.“ The location of a preferred area, for whatever reasons, is what makes values of homes higher. Conversely, the location of a nonpreferred area, for whatever reason, is what makes the values of homes less. 8000 square foot brand new homes on the coast of Long Island’s, East Hampton will be worth much more due to their area preference, over an area with 1200 square foot starter homes in the middle of Long Island, located next to a garbage dump. , so dass Sie einen Agenten identifiziert haben, möchten Sie Ihre Immobilie zum Verkauf mit und jetzt es Zeit ist für ein Gespräch über die Auflistungsvereinbarung Liste. Im folgenden sind die drei Vertragsarten Inserat in Arizona verwendet. eine offene Liste können Eigentümer verkaufen ihr Haus selbst zu öffnen. Es ist eine nicht-exklusive Vereinbarung, so die Besitzer können offene Angebote mit mehr als einem Immobilien-Makler ausführen und nur eine Gebühr an dem Makler, der einen Käufer bereit, Willens und in der Lage liefert deren Angebot der Eigentümer akzeptiert. wie sie sich darstellen, die Besitzer brauchen einen Makler bezahlen für den Verkauf ihres Hauses, sie müssen nur den Makler für den Käufer zu bezahlen. für den Fall, dass der Besitzer einen Käufer selbst zu finden, die Besitzer werden Schulden nicht jemand eine Provision. 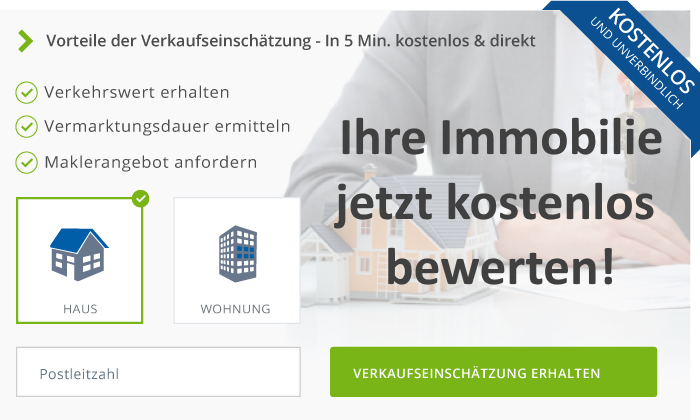 Offene Angebote sind durch Full-Service-Immobilien-Makler nicht gebräuchlich. eine exklusive Agentur Inserat ist vergleichbar mit einem offenen Angebot mit dem Unterschied, dass der Broker Liste den Besitzer darstellen wird. Der Eintrag Broker ist frei, kooperieren mit anderen Kapitalanlagen, was bedeutet, dass die zweite Vermittlung einen Käufer bereit, Willens und in der Lage bringen könnte, dessen Angebot der Eigentümer akzeptiert. In diesem Fall der Verkäufer Makler ist eine Provision Auflistung, die mit der Kundenvermittler geteilt wird, so dass in diesem Vertrag die Besitzer beide Gebühren zahlen. Die Eigentümer behalten jedoch weiterhin das Recht auf das Eigentum zu verkaufen und nicht zahlen eine Provision. eine exklusive Recht zu verkaufen-Inserat die am häufigsten ist verwendeten Vereinbarung. Es gibt dem Makler das ausschließliche Recht, eine Provision zu verdienen, indem Sie repräsentieren die Besitzer und Käufer, entweder über einen anderen Makler oder direkt. Die Besitzer legen die Auflistung und Maklern Verkaufsgebühren. Die Eigentümer können nicht selbst verkaufen ohne Zahlung einer Provision. Auflistung Vertragsdauer: die Dauer der Vereinbarung Inserat ist verhandelbar. Die am häufigsten verwendete Zeitrahmen beträgt sechs Monate, aber jeden Zeitraum kann verhandelt werden. Verkauf Kommission : als der Verkäufer haben Sie mit Ihrem Inserat Broker, die abwechselnd die Kundenvermittler zahlt eine Provisionsvereinbarung. Provisionen sind in der Regel sechs Prozent aber verhandelbar. In der Regel werden sie gleichmäßig zwischen beiden Brokern geteilt. Stornierung des Vertrages : wird der Vermittler/Agent können Sie die Auflistungsvereinbarung stornieren? Einige Broker tun, andere nicht. Wenn der Makler zustimmt, damit Sie jederzeit wieder abbestellen können, ist, dass Makler im Wesentlichen eine Garantie Ihnen. In diesem Fall nicht die Dauer des Vertrages viel Materie. Ablauf des Vertrags : Wenn der Vertrag auslaufen sollte, oder mit gegenseitigem Einvernehmen der Parteien gekündigt werden, der Auflistung Broker kann die Besitzer mit einer Liste von Interessenten, die er oder sie produziert bereitstellen. Wenn jemand von den Käufern nähern sich die Eigentümer innerhalb eines bestimmten Zeitraums in der Auflistungsvereinbarung vereinbart und erfolgreich der Immobilie Kauf, wird der Eigentümer noch dem Auflistung Makler-eine Provision Schulden. 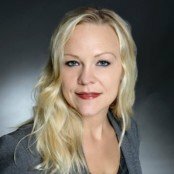 Abschluss Inserat Vereinbarungen sind in der Regel 3 Seiten lang und obwohl einige Broker ein paar Nachträge anhängen könnte, sie sind zum größten Teil, ziemlich geradlinig. Ich würde Ihnen raten, die Stornierungsoptionen mit einem Makler zu besprechen, die Sie erwägen – Sie wollen nicht mit jemand stecken, die Ihnen nicht zusagt. In der Regel keinen Makler ein Problem mit diesem, weil es in beide Richtungen geht. Auch, wenn Sie die Provisionen zu verhandeln, nicht billig sein… was Sie bezahlen in der Regel werden das Maß an Service und Erfahrung, die Sie bekommen widerspiegeln.